Isis Environmental’s ongoing work with specialised environmentally-driven secure shredding client – Shredded Neat Ltd., started up a new mission to educate the business sector about ensuring advanced data security for all physical and electronic data media whilst meeting ‘Zero Waste to Landfill’ in their own operations. October 2013 represents the 1st anniversary of our involvement with Shredded Neat, a year that has substantially changed its objectives and led to sound commercial improvement. Shredded Neat has during our first years involvement seen the successful achievement of ISO 9001 and ISO 14001, branched out from pure secure paper shredding and cardboard recycling into being a more rounded recycling company and under our guidance the business now recycles all categories of WEEE (Waste Electrical & Electronic Equipment); batteries and fluorescent lamps and looks certain to move into additional new sectors. We developed a number of key resources to ensure the business shows off its environmental credentials, whilst securing new market share in its geographical area. 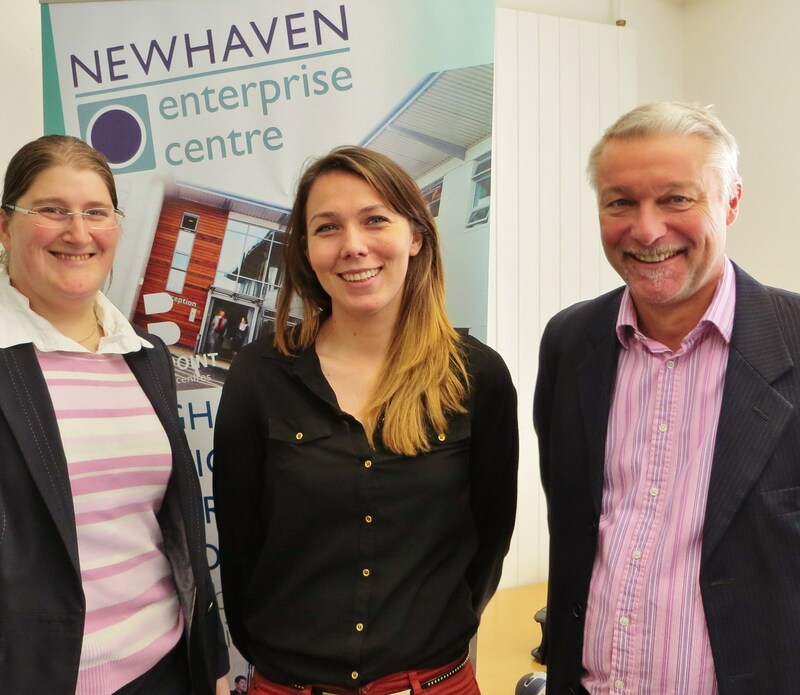 This has included a structured, bespoke telemarketing campaign, new literature, coupled with educational lectures, presentations and seminars such as the one recently undertaken at Basepoint Newhaven in Sussex, a great networking hub in the South-East http://www.basepoint.co.uk/locations/newhaven. This approach has resulted in a number of substantial new clients for the business impressed by the Company’s green credentials, high service levels and improved profile on a number of different social media platforms. It has now been six months since Isis became properly involved with Shredded Neat Limited. Our goal to improve overall business development has taken in a number of challenges, including following through with them to the successful conclusion of their ISO 9001 and ISO 14001 certification; the design and launch of a tailored telemarketing campaign with local marketing specialists – Kay Phillips Associates http://www.kayphillips.co.uk/ reconstruction and recruitment of a new sales team together with a defined programme of improvement, which has included a number of substantial new clients and income for the business from several new material recycling streams. In 2007, the Technical Director was approached to scope out an interesting and challenging project on behalf of Draeger Medical. Dräeger Medical planned to sell existing customers (many hundreds of hospitals throughout the UK), their latest and most advanced baby incubators. They were keen to ensure that the older or defunct Dräeger incubators these would replace were taken out of use and fully recycled. 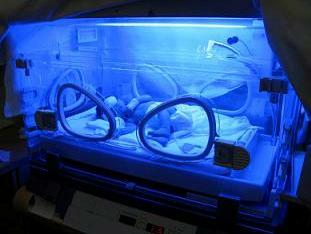 This was an essential part of the sales programme, as the Client wished to ensure that these old incubators could not end up being sold and exported to parts of the world where they could not be guaranteed to be reliable and there might be serious implications for infants if these were brought back into illegal use, with consequential risk of reputational damage. Our adviser developed a logistics programme for collecting the old/defunct incubators (without occupants!) from Lands End to John O’Groats. All incubators were certified sterilised prior to collection, and then individually logged into a tracking system based on their serial numbers. The logistics company ensured full audit control of the collection programme 2007-9, ensuring that the equipment reached the correct AATF (Accredited Authorised Treatment Facility) and individual units certified fully destroyed, then recycled with zero waste to landfill. Over a thousand incubators were safely disposed of, without a single unit going astray, a significant challenge in the world of recycling. In 2005, a small group of partners were examining how they could exit from the company they were currently employed by and develop their own Waste Electrical & Electronic Equipment (WEEE) business, with very low capital. One of our Directors helped co-ordinate the exit from the former company and provide the corporate set up of the Company from offices in Surrey. The launch of the new business was timed to co-incide with a major international campaign centred around this type of waste, the RSA WEEE Man Project. Coupling the launch with that of the 27,000 membership base of the RSA gave unprecedented access to the media, a resource the new company could not hope to have access to, and was ideal for raising public awareness nationally and internationally. The Company quickly launched with a tailor-made book of B2B business negotiated as part of the exit agreement and access to the important Operators Licence (for running commercial HGVs) was secured through one parties ‘grandfather rights’, allowing the Company to have livery written vehicles on the road, within a month. These and over activities meant the company had virtually immediate cash-flow, which successful grants were made to Waste resources Action Programme (WRAP) and further commercial lending secured. Important trading accreditations ISO 9000 and ISO14000 were secured within the first years trading too! The RSA WEEE Man – Engaging with the public! In 2005, we acted as advisers to Reco-Vie Limited during the launch of their new Waste Electrical & Electronic Equipment (WEEE) recycling company , by participating in the sponsorship of the Royal Society of Arts (RSA) WEEE Man project. We sourced the materials for this stunning sculpture which represents the 3.5 tonnes of WEEE the average EU citizen produces in a lifetime. The WEEE Man was launched in 2005 outside County Hall, London, then was moved to Bristol Docks for a further viewing and associated training programme and finally taken to Tim Smit’ Eden Project where it currently resides. Linking the launch to Reco-Vie’s own corporate launch gave unparalleled publicity, with news of the event syndicated to over 400 television stations worldwide, whilst the move to the Eden Project in Cornwall has ensured that millions of people have seen the sculpture and the associated advertising panels. The striking images were used to brand the company, were used on collection vehicle livery and gave presence and form to numerous exhibitions and conferences that were subsequently undertaken. We continue to have close links with the RSA, and our Co-sponsors, Canon (Europe) Limited. 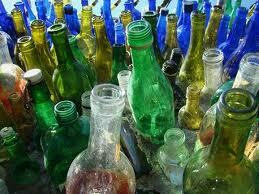 During 2009, and again in 2011, Isis Environmental was asked to look at specific technology for crushing glass bottles. The major problem with recycling glass containers is that they take up a large volume in any commercial waste stream, mainly comprising air spaces. We examined the UK and EU trends and macro-economic background to the container-glass recycling industry, the value of the mixed and separated cullet and key influences on spot prices, including PRN values. We then carried out in depth analysis of the commercial viability of a range of crushing technologies currently in the market and assisted our Client with their medium to long term investment planning and assessed the potential market size for the various products. In 2000, the incoming ODS Regulations prevented the UK exporting used refrigeration almost overnight, however no-one realised that there were no recycling plants that could legally recycle fridges using CFC recovery. One of our directors was central to the scheme to export approximately 25% of the UK’s used fridges to 9 different recycling facilities in Holland and Germany using the Environment Agency approved TFS licensing system where they were all safely recycled. During this time, he was instrumental in finding a site for a new UK recycling plant, getting Planning Permission as well as its Waste Management Licence and then running it as the plant manager. At the peak of operations, we were exporting 126, 40 foot trailers to Europe a week which made the Company one of the largest exporters of waste ever from the UK and a key supplier of recycling services to the public sector for several years.